I'm reminded of Betjeman's poem Felixstowe, or the last of her order every time I pass the Convent of Jesus and Mary, but this is the home of a busy Catholic order, rather than the declining Anglican order Betjeman wrote about. The two large Edwardian houses that front the road were extended backwards to form a school, and then a nursing home. 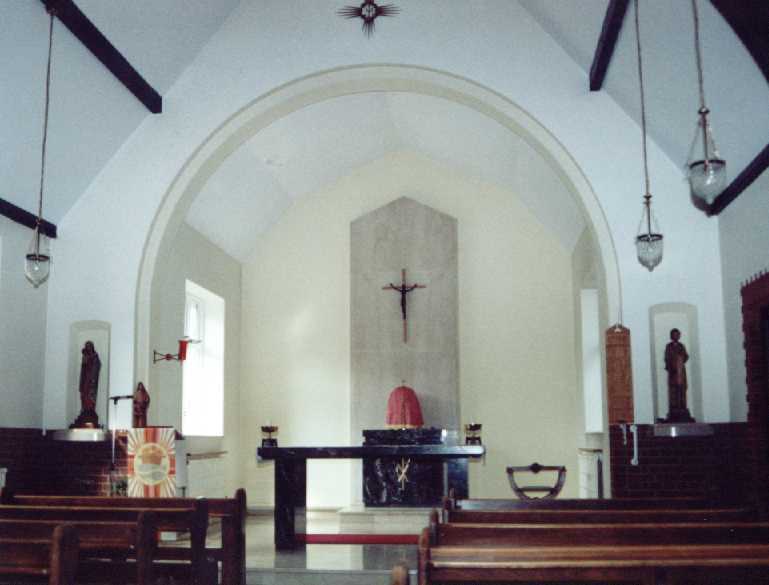 The chapel, from ajoining St John the Baptist. A hanging in the tradition. The chapel is in the shadow of the mighty Anglican parish church of St John the Baptist (of red brick twilight fame); it couldn't be closer. It probably dates from the 1930s, being rather functional from without, but typically neat and trim within. 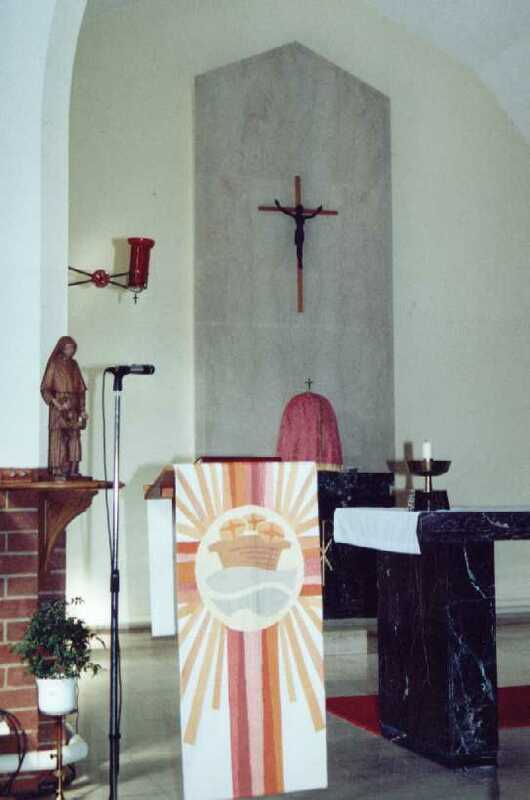 The original mission of the order, when it was formed in northern France in the 18th century,was to teach young girls embroidery, so it is fitting that such a fine hanging should be on the lectern. The chapel is somewhat grander than that of the Order's other Suffolk convent in Ipswich. It must be emphasised that this is a private chapel, and it is not open to the public. 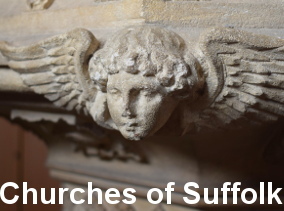 However, I am told that the convent participates in the Suffolk Historic Churches Bike Ride on the second Saturday of each September, when the chapel is open for viewing. 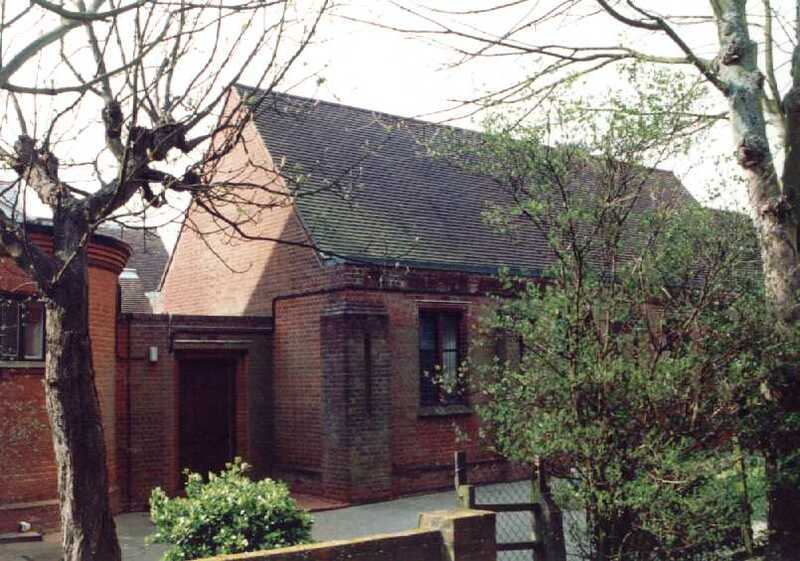 The convent chapel of Jesus and Mary is on Orwell Road, beside St John the Baptist. It is not open to the public.